Six people were inside this cottage at Lake Cumberland State Park when a tree struck it knocking it off its foundation. 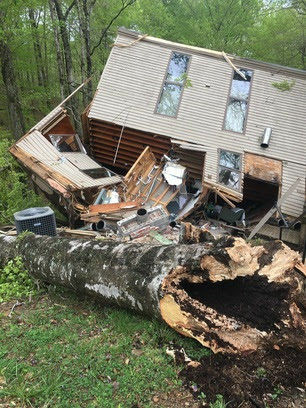 JAMESTOWN, Ky. (April 14, 2019) -- Early the morning of April 14, a storm knocked a tree down and the tree fell into cabin at Lake Cumberland State Resort Park. Authorities are still gathering information on this incident. The safety of our guests remains our top priority.